Happy first Sunday of fall, y’all! It’s time to go to (Eric) Church! It’s been said that “country music is three chords and the truth.” That saying probably comes from the fact that country music isn’t afraid to discuss the difficult issues that life throws at us. Sure, all genres deal with heartbreak, loss, and grief, but when it comes to songs about things like cancer and Alzheimer’s, I don’t think any other genre can compare to country music. Since September is World Alzheimer’s Awareness Month, I wanted to use the last “Sundays Are For Church” post of the month to bring awareness to this disease. 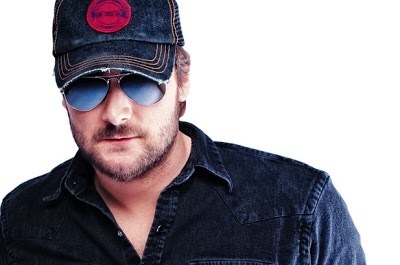 Many people don’t know that Eric Church not only writes his own songs, but he’s written songs for other artists as well. He wrote “The World Needs a Drink,” which was recorded by Terri Clark and he also helped to write “All Alright,” which was featured on the The Grohl Sessions, Vol. 1, an album from Zac Brown Band and the legendary Dave Grohl. Another of his songs was just included on William Michael Morgan’s album Vinyl. That song is “I Know Who He Is” and it fits perfectly with this week’s theme. While William Michael Morgan might’ve been the artist who got to record this song, Eric actually sang it first. It was unofficially titled “Alzheimer’s” and Eric performed it at the Country Radio Seminar in 2015 (video below). In this song, Eric describes a situation that many people know all too well- visiting a friend or family member who can’t remember you anymore because of their battle with Alzheimer’s. For Eric Church, that person was his maternal grandfather, Rusty, the original Chief. Rusty served as the chief of police in Eric’s hometown of Granite Falls, North Carolina and he’s the man the Chief album is named after (read more about how Eric got this same nickname here.) When Eric was ten years old, his grandfather was diagnosed with Alzheimer’s and his experience dealing with this comes through in this song. This song describes the conversations that one has with doctors when visiting their loved ones suffering from Alzheimer’s. While listening to the well-meaning doctor talking about your loved one’s condition and throwing around medical terms, all you can think about is how happy you are that they’re still around. Sadly, I think many of us can relate to the emotions that Eric is feeling in this song. For me, this song brought back memories of my time working in a retirement home throughout high school and college. In my seven years there, which was largely spent working in assisted living, I saw firsthand what Alzheimer’s and Dementia does to a person. This disease doesn’t care if you’ve got kids, a spouse, or loved ones. Or, as was the the case for Eric, if they’re “your dad, your coach, your friend.” Or “the voice behind ‘boy where the hell you been? '” Just as Eric Church watched his grandfather suffer from this disease, I saw many people’s grandparents also dealing with it. It’s a sad thing to witness up close and personal and anyone who’s ever had to deal with this can understand the words of this song all too well. Country music is sometimes described as being depressing, probably because of songs like this. But I don’t think these songs are meant to make you sad but instead they’re to help you realize that you’re not alone in whatever it is you’re going through. I hope this song has helped others to know that they are not alone. Hear William Michael Morgan’s version of this song in the video below. According to the Alzheimer’s Association, more than 5 million Americans are living with Alzheimer’s and by 2050, this number could be as high as 16 million. For more information on the Alzheimer’s Association and to donate, please click here. Currently listening to: Glen Campbell- “Rhinestone Cowboy.” Glen lost his life last month to Alzheimer’s. R.I.P. Rhinestone Cowboy!